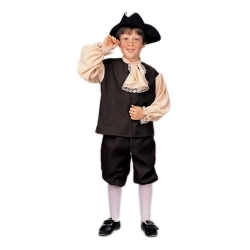 This colonial boy kids costume is perfect for school projects and book reports! You can create costumes for Ben Franklin, George Washington, Thomas Jefferson or any other colonial character. Costume includes a black hat with white trim, brown vest with attached natural color sleeves, jabot neck tie, and brown knicker pants. 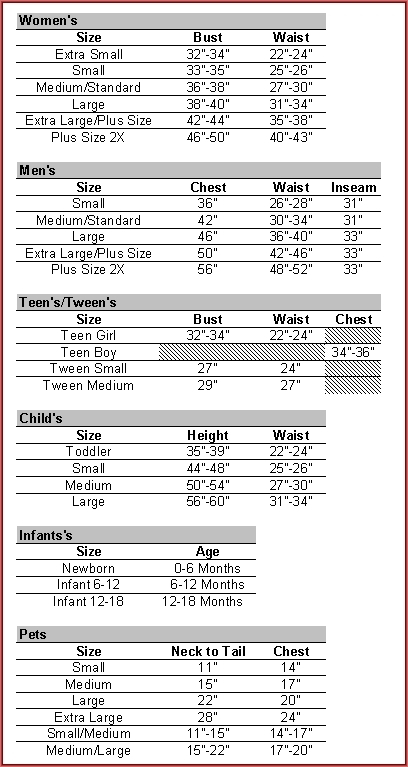 The colonial boy child costume is colored as pictured and is available in child boy’s size small, medium, or large.